The York Revolution organization is stunned to learn about the passing of former pitcher Frank Castillo. He drowned in an Arizona lake on Sunday, July 28. He was 44. 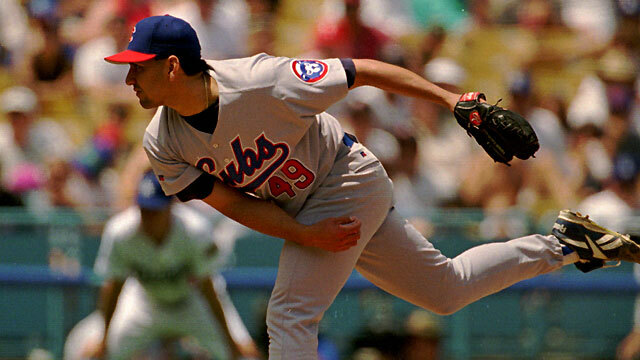 Castillo pitched professionally for 21 years after being drafted by the Chicago Cubs in 1987. He made his MLB debut with the Cubs in 1991, and pitched for them until the mid-way point of the 1997 season when he was traded to the Colorado Rockies. He also pitched for the Detroit Tigers, Toronto Blue Jays, Boston Red Sox and Florida Marlins in 13 MLB seasons, last appearing in the big leagues in 2005. 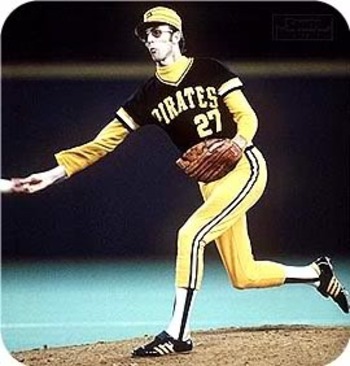 In all he pitched in 297 Major League games, starting 268. Frank Castillo retired a Rev, after pitching for York during the inaugural 2007 season and again in 2008. In 2007 he made 19 appearances for the Revolution, 16 of which were starts. He went 8-4 that season, with a 3.75 ERA. In ’08 he made the final seven appearances of his career, five starts, posting a 1-0 record. Castillo is the first former Revolution player to have passed away. Castillo will be honored at Sovereign Bank Stadium prior to the game against Camden on Tuesday, July 30. He was a native of El Paso, Texas. Patrick Arlis started behind the plate on July 28 knowing it would be his last professional baseball game at age 32, in his 12th professional season. He has retired to take an elementary school phys-ed teaching job in his native Illinois. While Arlis had been planning to play the whole season in York, the job opportunity came up suddenly, which caused Arlis to leave the team briefly in the first half to fly back to Illinois and interview for the position. With the school year there starting in about three weeks, unfortunately finishing the season in York was not an option in order for Arlis to move on to the next chapter in his life. He’s a graduate of the University of Illinois and has a master’s degree in elementary education. His career was truly remarkable in the sense he was a walk-on at Illinois, and ended up having just one semester paid for on scholarship. Despite those odds, he was drated in the 11th round in 2002 by the Marlins, incredibly high for a former college walk-on. Arlis made his professional debut with the Jamestown Jammers of the New York-Penn League in ’02. In his career, he would ascend as high as Triple-A with both the Marlins and Brewers organizations. Anticipating the departure of Arlis, the Revolution moved quickly to sign a new backup catcher, second-year pro Charlie Neil. Neil had been playing earlier this year with the Grand Prairie Air Hogs of the American Association. He was drafted by the Tigers in the 37th round last year, and spent the summer with their New York-Penn League affiliate (Connecticut). 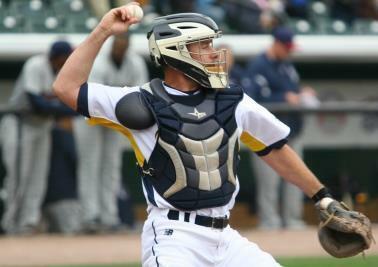 Neil didn’t have to travel far to make his professional debut, as he was selected after spending four years as the primary backstop at Yale. 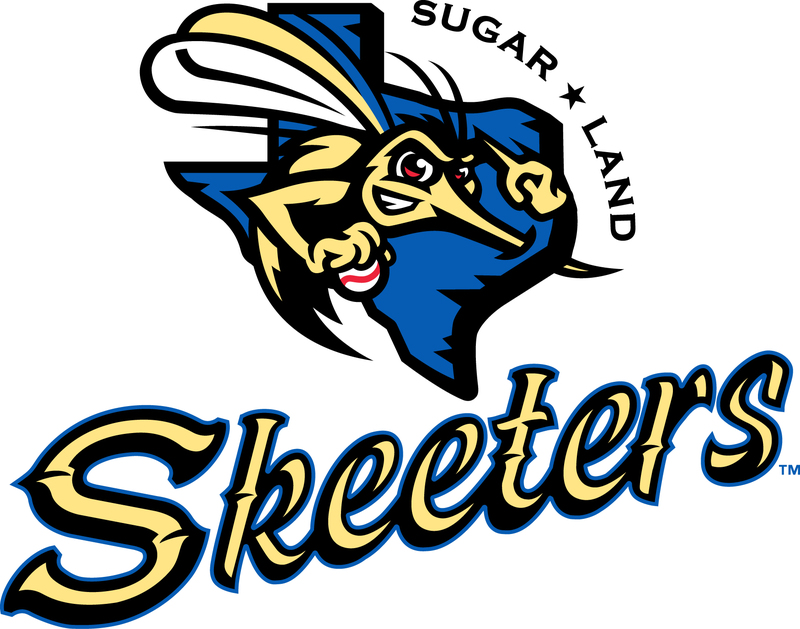 When the Sugar Land Skeeters started the season 20-3, they had by far the best winning percentage in all of professional baseball at .869. Obviously they had no where to go but down from that point, and they’ve only gone 44-25 since then. In their final visit to York this season at 64-28 on July 28, the Skeeters still hold the best winning percentage in all of pro ball, a distinction they’ve held most of the season. After the jump is the complete list of teams holding a winning percentage of .600 or higher overall in the domestic leagues. At 55-37 (.598) on July 28, Somerset just missed the cut as the second Atlantic League team. In the Majors, only the St. Louis Cardinals have a winning percentage above .600. Have you actually stood by the Pirates all these years, since their last winning season in 1992? Do you know everything about the team? Have you been a fan for life? Have you actually watched them play regularly for the last two decades? If so, this season must be so rewarding, or the biggest relief of your wretched life. If this is you, we want to hear about it! Are you a die-hard Pittsburgh sports fan when it comes to the Steelers and Penguins, but haven’t had the desire to keep up with the Pirates due to all the losing? If so, are you now jumping on the bandwagon, ala Detroit Tigers fans in 2006? It’s okay if you are, and if so I want to hear about how your once strong, but faded love for the Pirates has been re-kindled now that they’ve turned it around. Share with me any emotional stories about what it means to you to be a Pittsburgh Pirates fan, players you’ve met, funny stories from Three Rivers Stadium, how much you love PNC Park, and so on and so forth. Anything like that would be appreciated. Get writing and send me those e-mails…if you do your words and stories will appear in the next edition of the magazine! Thanks! Zack Segovia during his only Major League start and his only MLB appearance with the Phillies, on April 8, 2007 at the Marlins. Following the swapping of a pair of position players on July 25, the Revolution have done the same on the pitching side. Lefty Rick Zagone has been released in favor of right-hander Zack Segovia. Segovia has nine games of Major League experience; one start with the Phillies in 2007 and eight more appearances in relief in 2009 with the Nationals. The journeyman has played for five different organizations the last five seasons (Tigers, Brewers, Yankees, Nationals, Phillies). 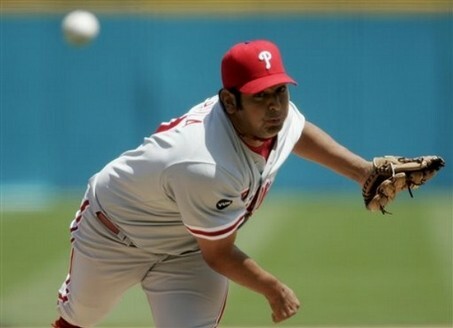 Segovia began his career as a starter in the Phillies organization, after being drafted by Philadelphia in the second round of the 2002 draft. By the end of his time with the Nationals he was strictly a reliever, and then made 44 appearances out of the bullpen for Triple-A Scranton/Wilkes-Barre (Yankees) in 2010, then 45 relief appearances for Triple-A Nashville (Brewers) in 2011 and did not make a start in either season. He made another run at starting a season ago, with 12 starts for Double-A Erie (Tigers). In 10 professional seasons upon joining the Revolution, Segovia, 30, has 284 total appearances, 130 starts and 12 saves. Meanwhile Zagone exits the club after nine appearances and eight starts, posting a 5.92 ERA in 41 innings. He struck out 23 and walked 20. After the addition of Michael Hernandez on Monday gave the Revolution five infielders and five outfielders, a move has been made to get to a more roster-friendly 6/4 arrangement. Outfielder Cody Johnson has been released, in order for York to sign infielder Ofilio Castro. Area fans may remember Castro from his two most recent clubs; he spent last season with Sugar Land and was with the nearby Harrisburg Senators from 2007 through 2010 , Double-A in the Washington Nationals organization. Before joining Sugar Land, Castro was exclusively in the Montreal/Washington organization, debuting as a professional in 2003. He ascended as high as Triple-A with Washington, before spending all of 2009 and 2010 in Harrisburg. This season, Castro had been playing in his native Nicaragua. Now in his 9th professional season, Castro, 29, is a veteran of 765 minor league games at second, third and short. In 47 games with York, Johnson hit .268 with 10 home runs and 29 RBI, but struck out 70 times in that span. The strikeouts were likely the reason for his release. To put it in perspective, Johnson was tied with Salvador Paniagua for the team lead in strikeouts at the time of his release, despite Paniagua having played in 27 more games. 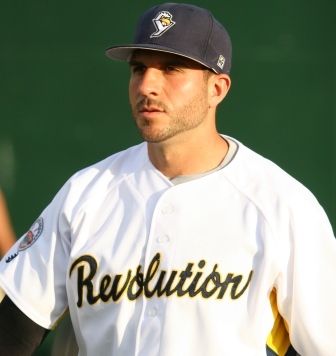 Outfielder Michael Hernadnez, who spent all of last season with the Revolution and played in 104 games, has been signed and added to the active roster. Following a .303/11 HR/55 RBI effort last year in York, Hernandez was signed by the Detroit Tigers in the off-season. It was his second tour of duty with that organization, after playing at three levels during 2006 and 2007. Hernandez was released mid-July out of Double-A Erie. Coincidentally, he joined the Revolution on July 22 for the beginning of their four-game series at Somerset, where he spent the entire 2010 and 2011 seasons. In 2011, Hernandez homered in the Atlantic League All-Star Game at Sovereign Bank Stadium as a member of the Patriots and was voted the game’s MVP, before signing with the Revolution the following off-season. Left-handed reliever Edward Paredes was placed on the inactive list to make room for Hernandez. Paredes sustained a leg injury during his appearance at Southern Maryland on July 22.